HILARIOUS! Every Woman Must Read! Loretta Collins loves working at the mill, but leading a women's revolt supersedes. When Pittsburgh Steel Corporation refuses to honor the newly signed Equal Pay Act, the women workers have no other choice but to strike. In flocks, they leave from behind cash registers and teachers desks. From behind kitchen sinks, typewriters, sewing machines, and hot stoves. They drop their Avon and call their sisters. They call their mothers, best friends, and cousins. Dorothy Delveky sees this as the perfect opportunity to showcase her all girl band. They play throughout the day during the strike and venture to Pittsburgh's popular South Side to play into the night. Marge gets saved from jumping off the bridge and ends up across the river at the rock show, where she gets her pizza spiked with mushrooms! Now she's living it up in the Steel City. There's only one problem. A dead husband. Will the women workers of Pittsburgh Steel Corp. ever get equal pay? And is PMS a good enough reason for murder? “So many books, so little time!” That’s what the Dutch Renaissance theologian Erasmus (1466-1536) was fond of saying whenever he tried to decide what to download next on his Kindle. But he didn’t have Kindle Nation to help him find batch after new batch of quality 99-cent reads from terrific authors! 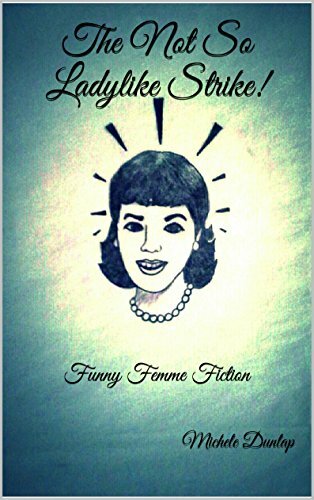 Each of the following 99-cent books, categorized as Humor, has received at least 4 Amazon reader reviews with an average rating of 4 stars or better. We’ve got a great selection of highly rated Humor 99-centers to share with you today….